Sling Media has a new chart out highlightning just how limited TV Everywhere services are from DIRECTV, AT&T, Verizon, Comcast, Time Warner Cable and Optimum. 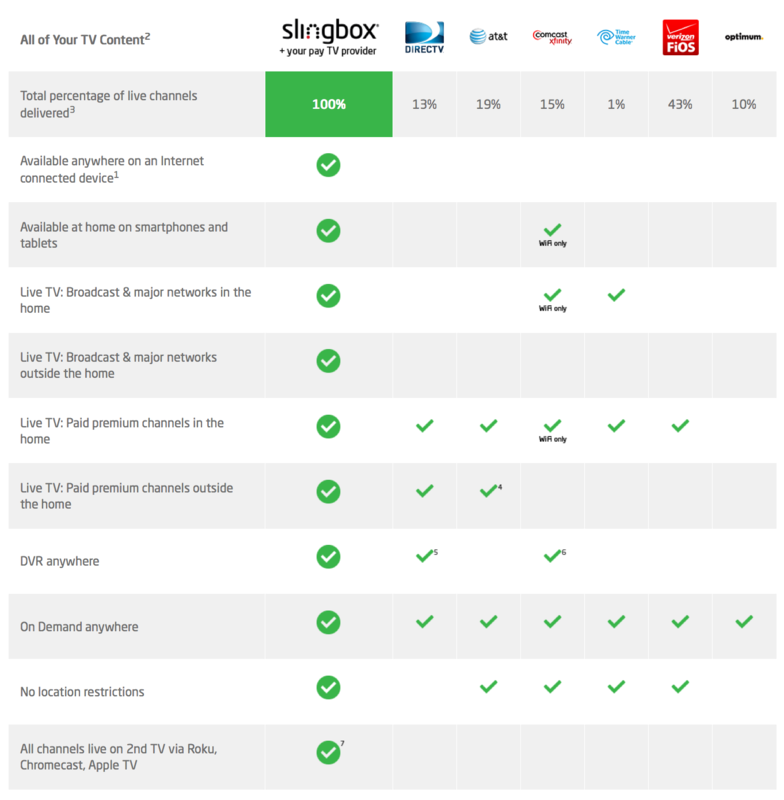 While it’s part of a new marketing campaign (www.dontgetcwap.com) geared to push people to purchase a Slingbox, they make a good point. Five years after some of the cable companies announced they would offer TV Everywhere services, these services as a whole are still very limited in support for channels, functionality and devices. Getting a Slingbox is still the only true way to get your full channel lineup on all your devices. It’s the one device I would not want to live without. Amazon has the Slingbox 350 for $90 and the Slingbox M1 for $135.